Thuong Xuan is one of the seven poorest districts in Thanh Hoa province. In the district, there are more than 90,000 hectares (ha) of forest area, of which 12,000 ha have been used for acacia mangium. Acacia has been a popular plantation species in Vietnam because of its fast growth rate and short rotation times, which allows community members to harvest after approximately five years and sell to local buyers. 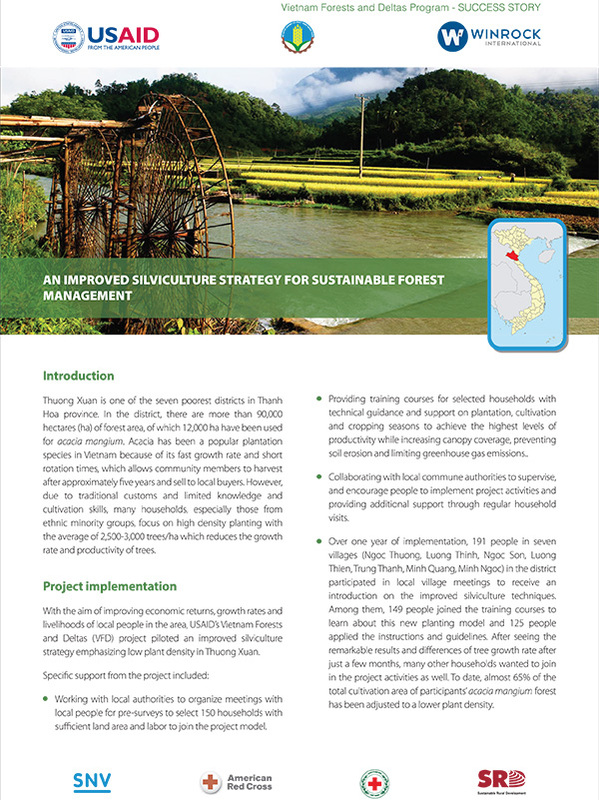 However, due to traditional customs and limited knowledge and cultivation skills, many households, especially those from ethnic minority groups, focus on high density planting with the average of 2,500-3,000 trees/ha which reduces the growth rate and productivity of trees.